SolidWorks Premium has lots of tools and features that give you the control to handle the unique challenges of sheet metal design. You can design from scratch or convert your 3D model to sheet metal. Designs can be automatically flattened and documented for manufacturing, with export to CNC and manufacturing equipment. And documentation is easy. Some of the features included are form and punch tools that enable simple drag-and-drop insertion; options for flange position and flange edge to give you more design flexibility; and precise control of edge flanges, including up-to-vertex end conditions, speed up design. 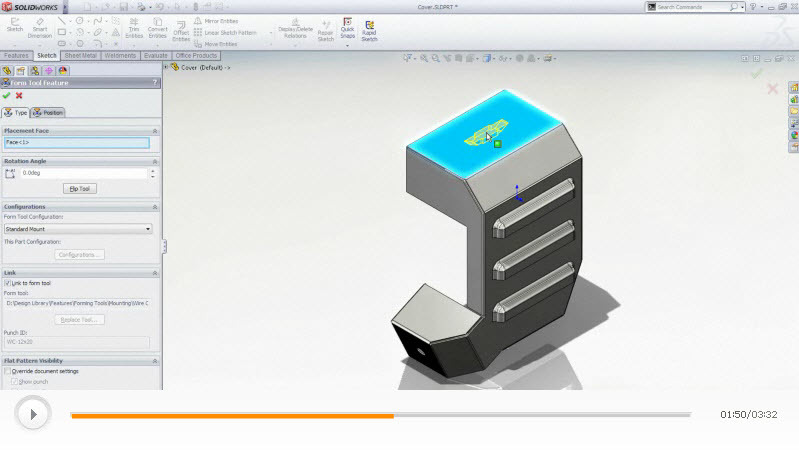 Visit our demo library for video demos of how SolidWorks can simplify sheet metal design.